People who live miles away from the elevator still talk about pictures jumping off walls. Chad Roberts, 20, was among six people killed in the explosion, one of the deadliest workplace accidents in the last decade. The victims also included elevator employees John Burke, Ryan Federinko and Curtis Field, as well as grain inspectors Travis Keihl and Darrek Klahr. Two others were injured. Zoe Bock, Roberts’ mother, is still grieving. “I finally did accept that he was gone but it still to this day bothers me that I didn’t get to hug him, give him a kiss and tell him I loved him, except through a casket,” Bock said. In the nearly 17 months since the accident, some of those closest to the victims are frustrated that authorities have yet to conclusively lay blame for the cause of the accident. And some of them want criminal charges brought against Bartlett Grain Co. The Bocks hope the Atchison explosion will serve as a warning for the industry. 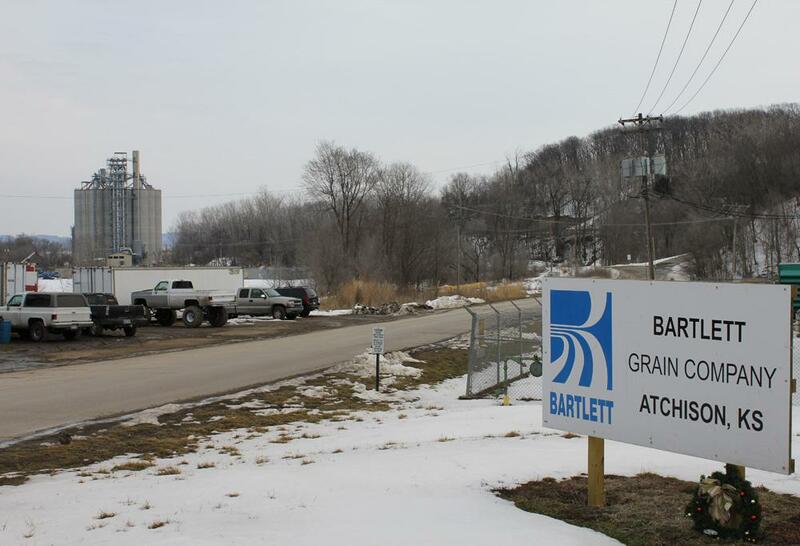 In April 2012, the Occupational Safety and Health Administration (OSHA) cited Bartlett Grain with five willful violations and eight serious violations of workplace safety rules. "The deaths of these six workers could have been prevented had the grain elevator's operators addressed hazards that are well known in this industry,” Secretary of Labor Hilda Solis said in a release announcing the citations. Grain elevators — which store billions of bushels of farm products like corn and wheat — are a staple of rural communities. But the dust that piles up in these and other grain storage facilities is highly combustible, up to six times more explosive than gun powder. 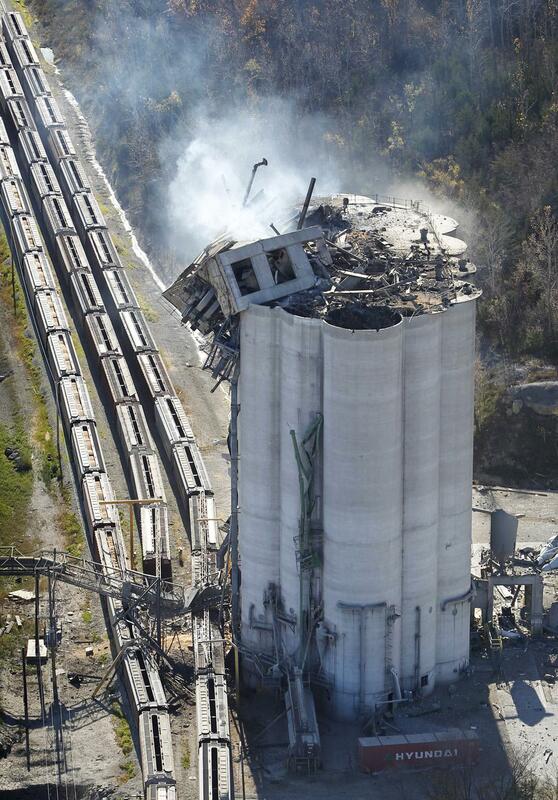 Blasts at grain handling facilities have killed more than 180 people over the last few decades. Still, the annual number of grain explosions has been declining for a while now, thanks in part to regulations put in place in the late 1980s. OSHA says if grain dust is managed properly, explosions are preventable. Tom Tunnell, president and chief executive officer of the Kansas Grain and Feed Association, said the industry puts a premium on safety and has invested millions of dollars into safety research. But safety advocates say that bringing criminal charges against companies that willfully contribute to deadly explosions may be the only way to fully protect future workers. Mike McGraw, an investigative reporter who has been following the Bartlett case for The Kansas City Star, recently reported that the U.S. Attorney in Kansas is considering a request from OSHA that criminal charges be brought in the Bartlett case. That’s rare for the grain industry. “OSHA feels that because these alleged violations were willful violations and that the company had reason to believe they were not complying with OSHA rules and people died – those are the kind of cases that often get referred to the U.S. Attorney for possible criminal charges,” McGraw said. It could be months before the U.S. Attorney decides whether the charges are warranted. But Kevin Bock said criminal charges in the Bartlett case would send a statement to the industry. “I want to see criminal charges and I want to see a conviction on it. And I’m going to push as hard as I can,” said Bock, who spends hours each week following the case, collecting documents, making phone calls, prodding OSHA investigators and the federal prosecutors. The Bocks and families of three of the other victims have also brought civil lawsuits against Bartlett Grain and some of its executives. Back in Atchison, Bartlett rebuilt the grain elevator, one of three in the gritty city along the Missouri River. There’s a railyard in the center of town and grain bins and industrial plants line Main Street. “When they (Bartlett) announced their intention to rebuild it was almost a huge collective sigh of relief that they recognized the importance of that elevator to this community as well,” said Jacque Pregont, president of the Atchison Area Chamber of Commerce, who called the town a hub of agriculture. Atchison residents are trying to move past the tragedy. Even if they won’t forget it. According to OSHA, there were an average of 7.5 grain explosions annually between 2002 and 2011. And it could be years before this case works its way through the legal system. This report is part of a package of stories created in a partnership between Harvest Public Media, The Kansas City Star, the Center for Public Integrity and NPR. To read more reporting about the aftermath of the Bartlett Grain elevator explosion, visit the Kansas City Star's website. To see video about the Atchison explosion, visit Harvest Public Media's website.